Pure distance WHITE, a beautiful fragrance that will put a smile on your face. Wearing a fragrance is a precious moment that has something to do with your deep yourself. Pure distance is an amazing brand that will strike your curiosity by the power of their fragrances. Every single creation is done with the best ingredients and their aim is to make best in class fragrances. They are launching Puredistance WHITE, a beautiful fragrance with a true positive emotion within. PUREDISTANCE for me is a voyage to the essence. And in the essence lies beauty. The kind of beauty that is timeless. Pure distance takes a lot of careful with all details. Every single aspect of their fragrances are purely perfect. their aim is to create unique fragrances that will be memorable. The quality of all ingredients used is quite unique as only the best ingredients are chosen. 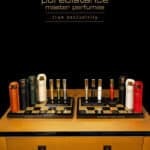 Puredistance also works with the best perfumers. When you smell a Puredistance fragrance you will dive into an unique universe. With the launch of Puredistance White, Puredistance presents a warm-hearted artistic work. The majestic Rose of may will play an elegant and luminous symphony with the following quatuor: Orris, Patchouli, Tonka bean and Vetiver. Bergamot will enlighten the structure and modern Musks will clear the path to an adventure you will not regret. Like a sunshine ray of light caressing your skin, Puredistance White will wrap you in a warm aura. Pure distance White will place a smile on your face and lots of warmth in your heart. This new fragrance is an amazing modernization of the Chypre theme that brings a strong and intense trail while the solar composition will completely take you away from your daily life to another place, a do-me-good place. Congratulations to Puredistance. Info sourced at Puredistance official communication. All content is copyrighted with no reproduction rights available. 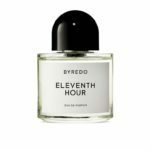 BYREDO ELEVENTH HOUR, WHEN EVERYTHING COMES TO AN EDGE – FRAGRANCE REVIEW. Puredistance, A True Exclusive And Luxury Fragrance House Worth Knowing. Aesop Marrakech Intense, the icon is back.